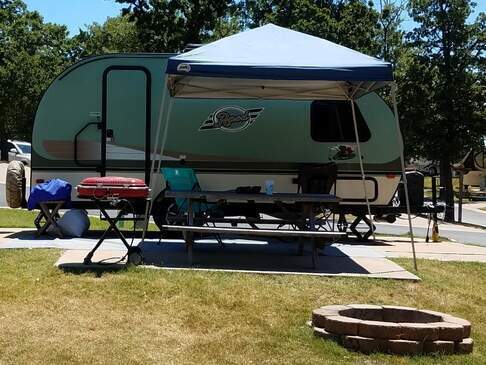 Are you planning on RV rental in Oklahoma this summer? If so, now is the time to get excited. Not only do RVs offer a comfortable and affordable way to travel, but they also make it easy to see all the sights you’ve been excited about. Before you leave, get your ducks in a row to ensure a stress-free trip. Here’s your complete checklist. No matter where you’re going or what kind of trip you’re taking, a good trip itinerary will keep your trip from spiraling into chaos. Use an Excel spreadsheet or piece of paper to track your trip’s must-see destinations, and to plan for how long you’ll stay in each place. If you’re visiting multiple destinations on the same trip, write down the relevant contact details of each space, and be sure that you have all your check in and out details arranged accordingly. You’ll pack differently to go camping in Oklahoma than you will to visit relatives in Oklahoma City. Take this into account as you plan for your trip. Look at your itinerary and consider what you’ll likely need for each stop. If you’re a visual person, you may consider making a list and checking it a few times before you leave. Add and subtract items as needed, and then lay everything out on the bed before putting it into your suitcase, just to be sure you’ve not forgotten anything. To ensure you don’t miss any important communications while you’re gone, set relevant “away” notifications. These may include an auto-responder for your email, a phone message telling people you’re out and when you’ll return, or even a note on the door for the UPS man. Ideal for putting your mind at ease and making your trip that much less stressful, “away” notifications keep your life at home running while you’re out having fun. One of the biggest expenses of any vacation is food. Unless you’re staying at an all-inclusive resort, most vacations require you to eat out for most meals. Luckily, traveling in an RV is a bit different. Because most RVs have refrigerators and kitchenettes, it’s easy to eat well while you’re on the road. Use the days before your trip to stock up on snacks. Healthy options like crackers, hummus, and veggies will keep well and are easy to prepare in your RV. Don’t forget to grab plenty of tasty drinks to keep you hydrated during your travels. If you have pets at home, you’ll need to make arrangements for their care while you’re gone. Unless you’re planning to bring them in the RV with you (some rental companies rent pet-friendly options), you’ll need to have someone on hand to feed and water your furry friends. Ask a friend or family member to step in, or take your pets to a professional boarding facility instead. If you’ve already booked your RV, double-check that everything is in order a few days before you leave. This helps you put your mind at ease and makes it easy to catch any mistakes or misunderstandings before your trip gets underway. It also gives you time to make last-minute changes or alterations to your plan. If you haven’t hammered out your pick-up and drop-off locations, now is the time to do it. If you’re traveling with kids or friends, check in before you leave to ensure that everyone has what they need for a great trip. Kids should have ample changes of clothes, clothes for any weather you might face, and the snacks and toys they’ll need to stay entertained on the road. If you’re planning on doing any biking, hiking, surfing, or swimming, be sure everyone in your group has the gear needed to enjoy these activities fully. You may also want to make sure you’ve got enough pillows and blankets to be comfortable in the RV every night of your trip. A trip in an RV creates some truly unforgettable memories. Make sure you’re capturing yours by bringing along a camera, smartphone, or video recorder. Chances are, you’ll find yourself pulling it out time and time again. If your RV doesn’t come filled with gas, you’ll need to fill it yourself before you go. Most RV rental companies ensure their RVs leave the lot ready to roll, which means the renter before you likely filled the tank. Check with your RV rental company if you have questions. If you need to get gas before you leave, be sure you plan time for this so it doesn’t impede your travel schedule. During a trip in an RV, unplugging is one of the best things you can do. In a world that is already so fast-paced, quality time is hard to come by. When you commit to leaving work at work and absorbing fully into your vacation, you stand a better chance of coming back relaxed and happy, rather than stressed and exhausted. Oklahoma is a beautiful state with a huge amount to offer. 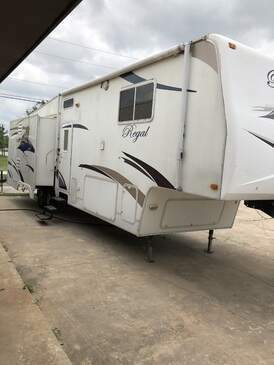 This summer, rent an RV from Campanda and see the countryside in style. To learn more about our rental options or find the one that’s right for you, contact Campanda today!